Can you guess where this picture was taken? In The Sahara or The Gobi desert? No 😉 This beautiful desert is located in Western Japan’s Tottori prefecture. Actually, it’s not a huge dessert like the Sahara or Gobi, but rather a smaller (still over 30 square km) collection of sand dunes. Today, let me introduce Tottori prefecture. 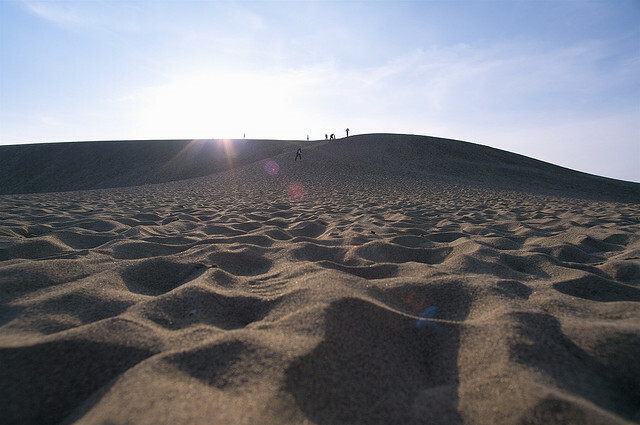 So, the sand dunes I mentioned above are Tottori’s No.1 (and maybe only one?) selling point! Taking full advantage of this mini-desert, Tottori constructed Japan’s only open-air sand sculpture museum in 2006. Look at these splendid artworks! 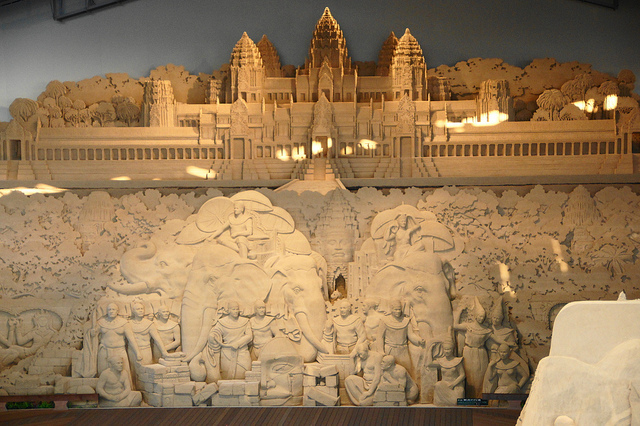 I just can’t believe these are all made of sand (*_*)! According to their official website, the materials are just sand and water, making the gigantic sculptures quite fragile. Still, the evanescent beauty of these formations attracts plenty of visitors. 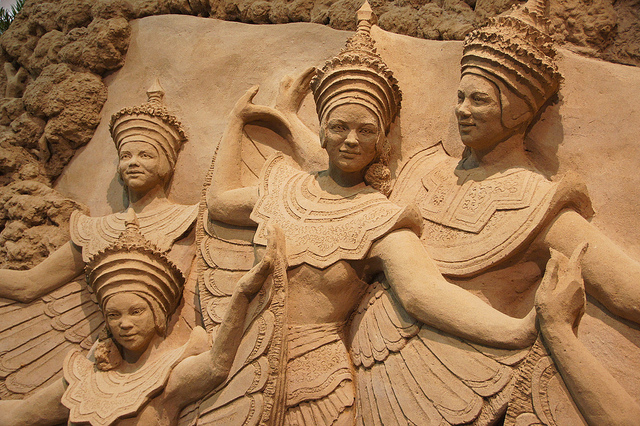 The museum is now exhibiting sand sculptures with a South-East Asia theme until January of 2014. Please do visit there if you have a chance to go to Tottori! !